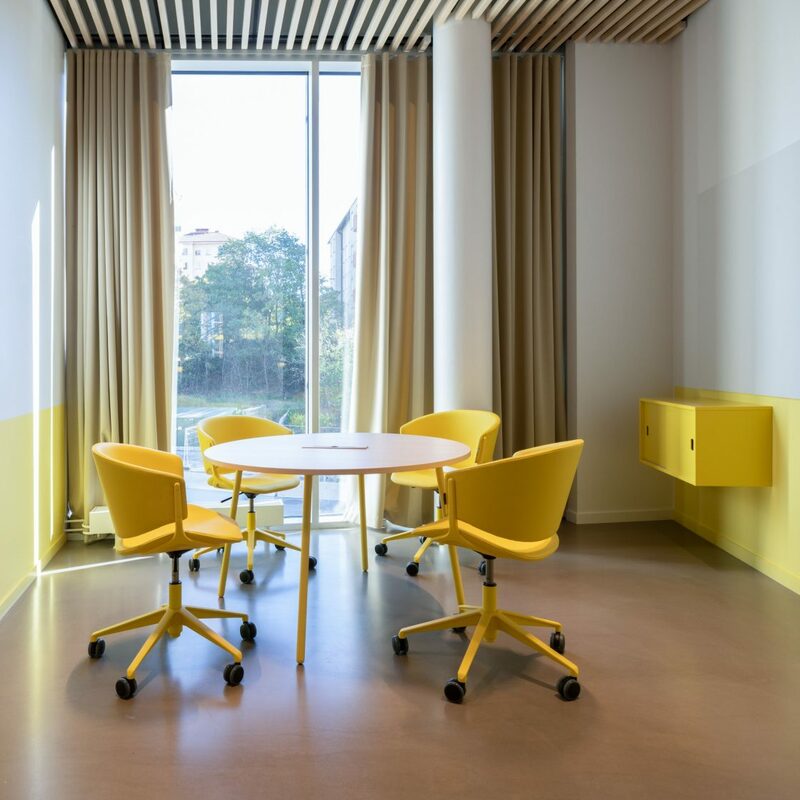 Offecct has worked with Studio Stockholm Arkitektur and Lindelöfs interiors to develop and supply furniture for the Tre company’s new head office in Johanneshov. 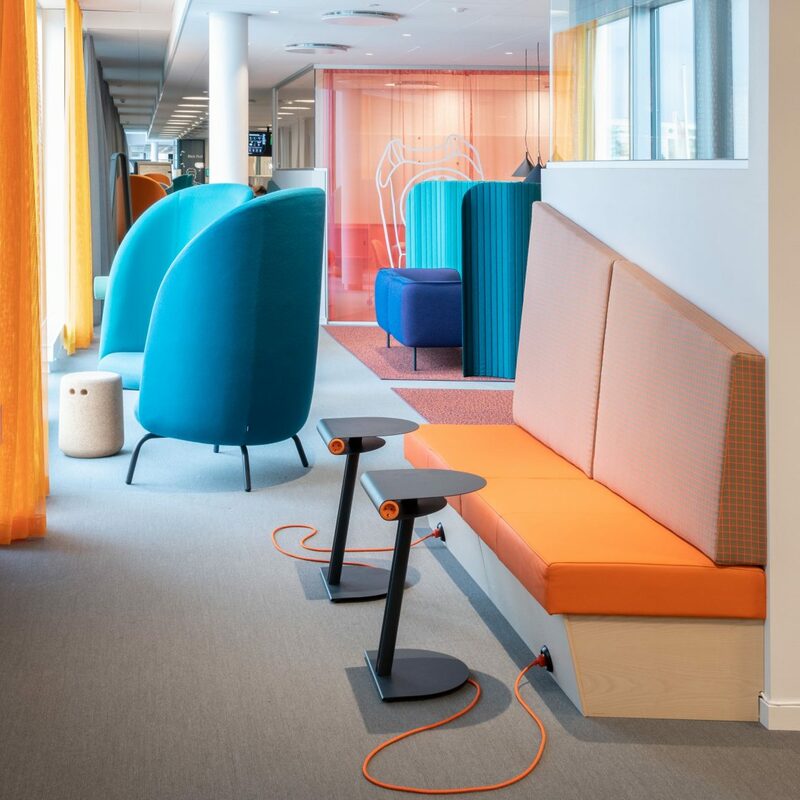 Colourful Phoenix chairs and work stations in a unique design incorporating sound-absorbing screens are just two of the features of Studio Stockholm’s personalised, customer-oriented interior. 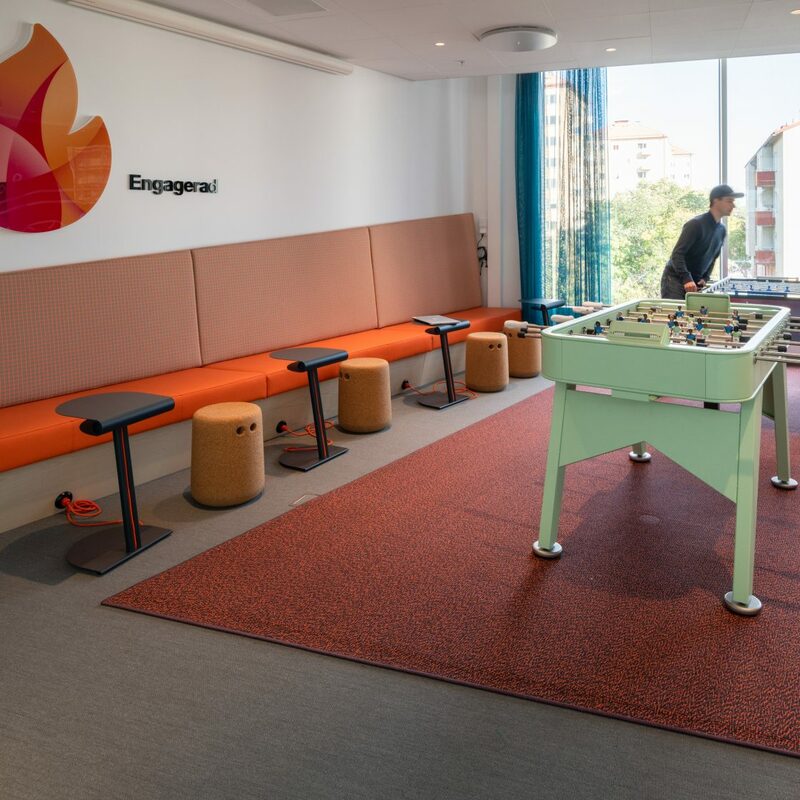 Mobile service provider Tre moved to their new premises at the end of September 2018, with Studio Stockholm Arkitektur given responsibility for interior design. 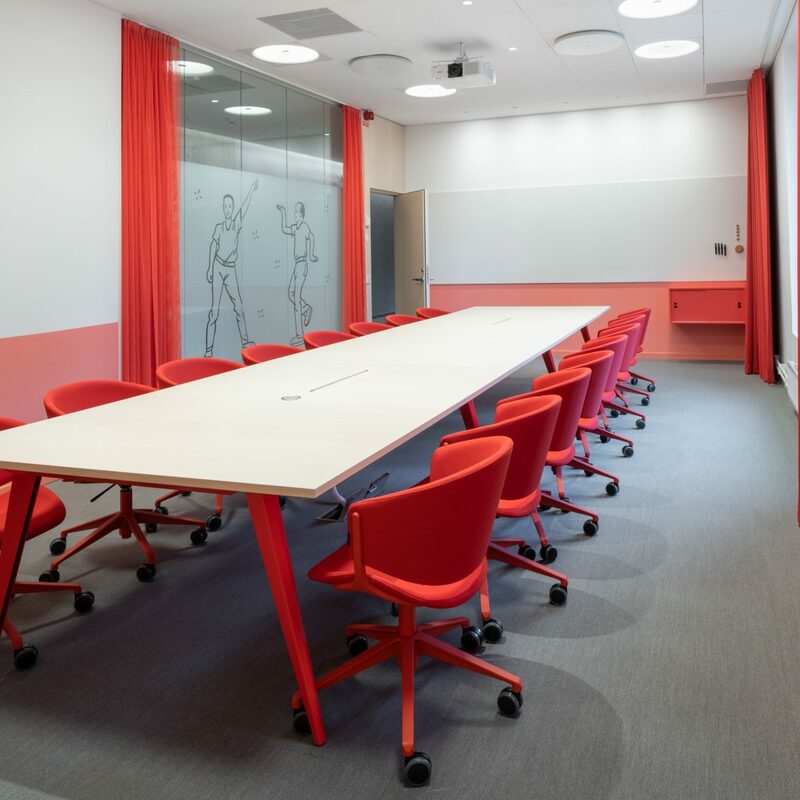 The project was delivered in partnership with Lindelöfs interiors. 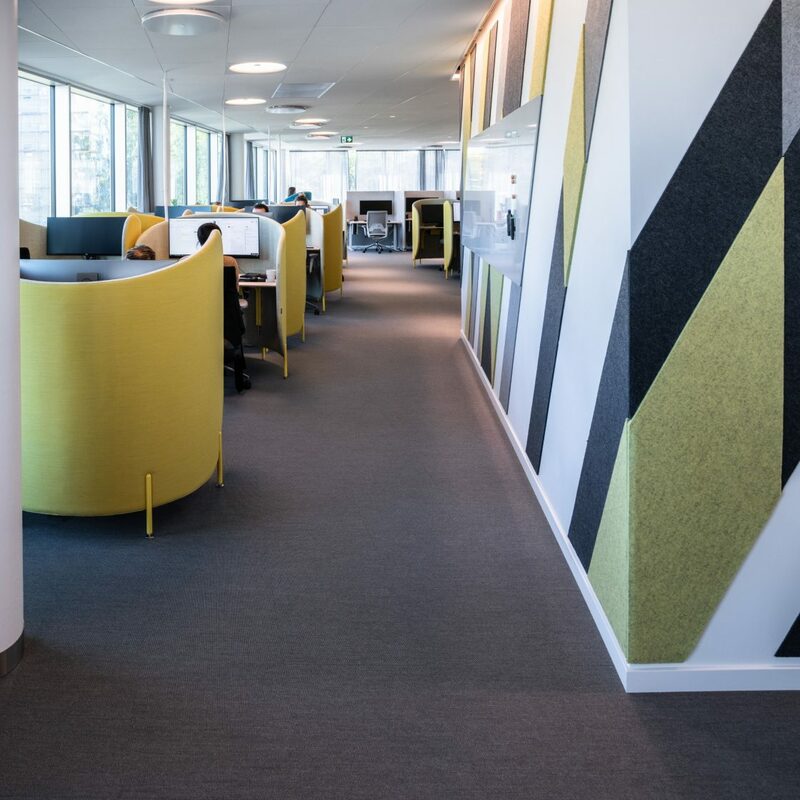 With 15,000 square metres of floor space, it was a challenge to provide the functionality that would best meet the working environment needs of this rapidly expanding company both now and in the future. 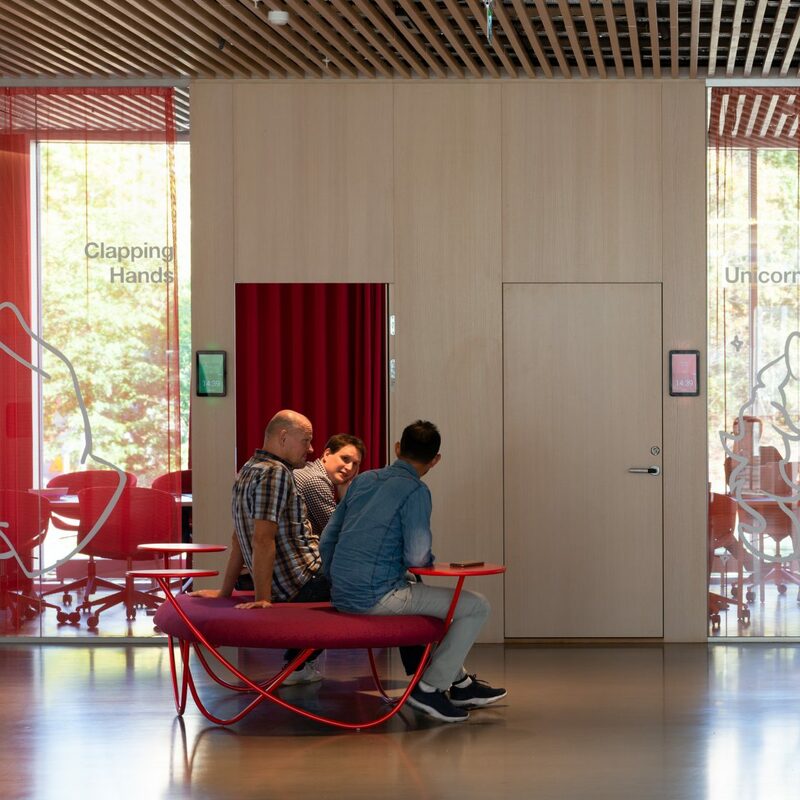 Studio Stockholm has been working on the project for three years and has designed a well-planned office that brings the various departments together, providing solutions that stimulate creative development and a sustainable working environment for employees. 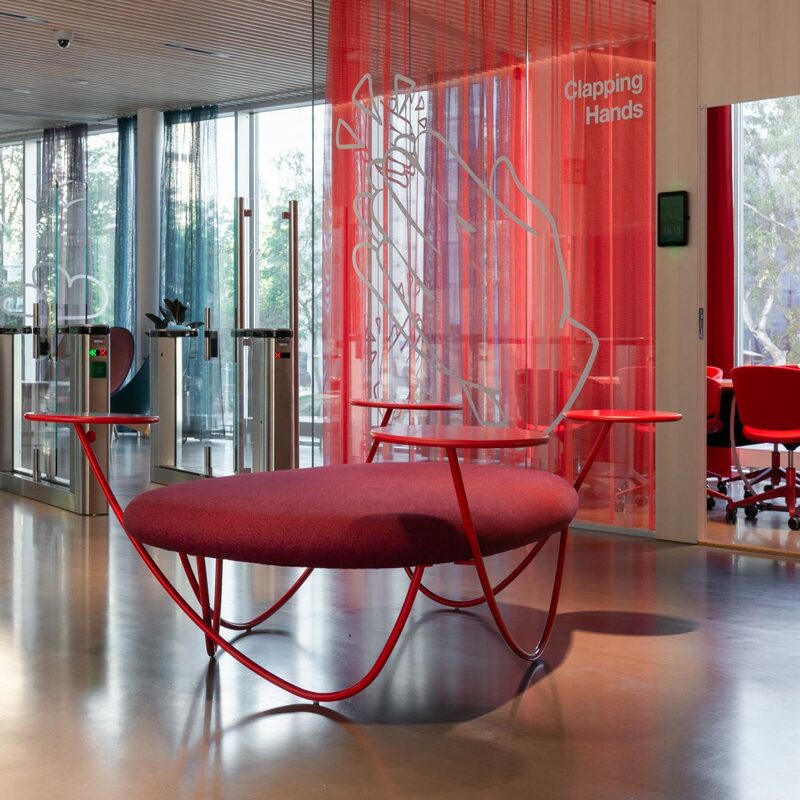 The concept Studio Stockholm has created is characterised by digital solutions, robust materials and unexpected details such as multicoloured LED cables and a raspberry-red staircase. 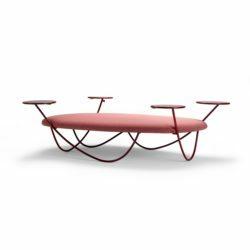 Two unique products designed for Tre by Studio Stockholm were developed into finished items by Offecct’s product development section and the project architect Marco Checchi. 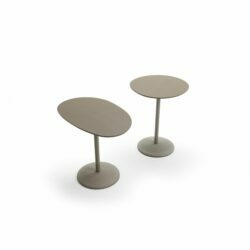 These – the touch-down solution Leaf and the practical Loop laptop table – melt into the surroundings and fulfil the need for workstations. 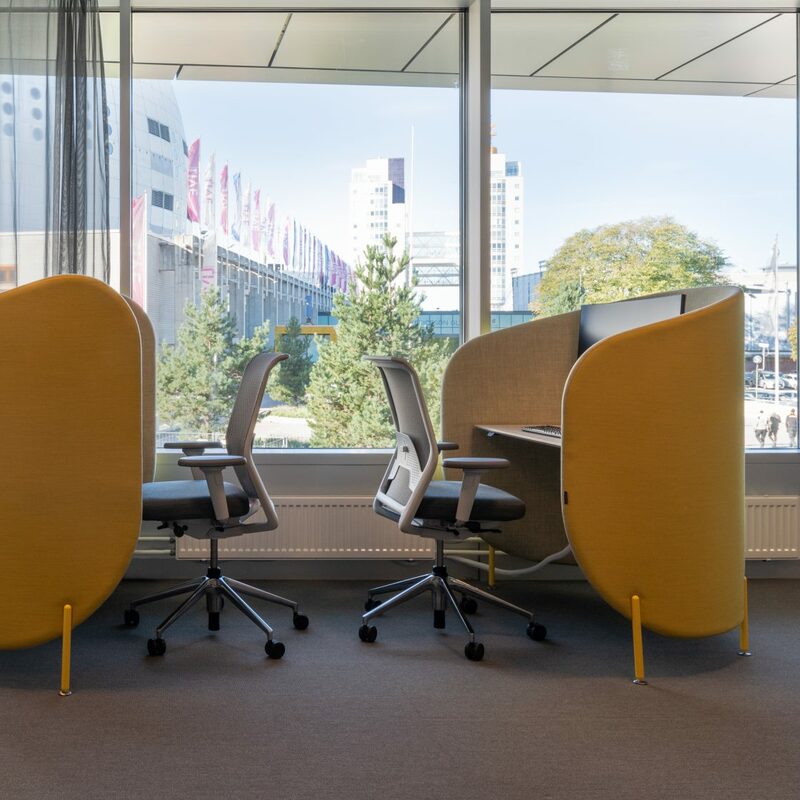 Leaf is a complete workstation that includes a sound-absorbing screen that comes in two different designs. 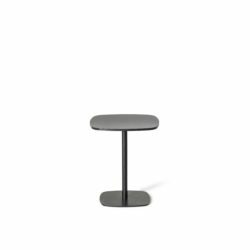 Within the screen there are a height-adjustable table to ensure correct working height, power outlets and space for electrical cabling. Loop is a neat, flexible table in varnished sheet metal, equipped with power outlets. Both Leaf and Loop can be ordered (minimum orders apply) from Offecct’s Project Collection 2019 – find out more here. 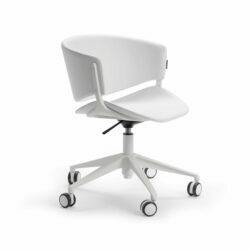 Offecct has also supplied a special edition of its Phoenix chair for several conference rooms along with Wind and Nobis coffee tables.